Improving your home’s energy efficiency starts with the products you choose, and when it comes to HVAC systems, you always want to look for brands with an ENERGY STAR® rating. The ENERGY STAR label was established in 1992 by the U.S. Environmental Protection Agency to help you, the consumer, find products that have met federal regulations regarding energy efficiency, greenhouse gas emissions and even sustainability. Understanding ENERGY STAR ratings related to HVAC units can be a little difficult, especially if you don’t know where to start. That’s why our HVAC repair and installation experts at Bounds Heating & Air have decided to walk you through what these numbers mean for you and your home. HVAC products with an ENERGY STAR rating have been proven to be up to 20% more energy efficient than other comparable HVAC units. This means you can expect to save on your energy bills by as much as 20% should you choose said products. 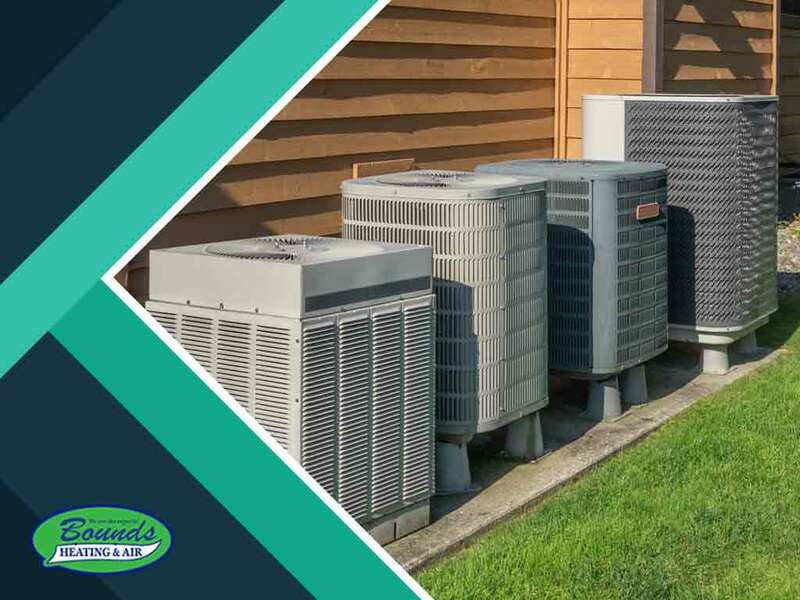 With regular maintenance and proper heating and air conditioning repair, these systems can virtually pay for themselves in savings in a matter of years, compounding the savings that you get for using them. SEER stands for Seasonal Energy Efficiency Ratio. It’s a rating that shows you just how efficient a unit can be each season. This number can range from 13 (considered as low-efficiency appliances) to 23 (high-efficiency). When you’re looking for a replacement for your old heating or air conditioning system, consider getting a model with a high SEER number. The higher the rating, the more energy efficient your unit will be. You may also see an EER number. This stands for Energy Efficiency Ratio and is used to measure the performance of HVAC systems on a much smaller scale than the SEER. To maximize your savings, you want to limit your choices to products with 14.5 or higher SEER. Single HVAC models should have an EER of 11.0 while split-type HVAC systems should be 12.0 or higher. These are the minimum requirements for an ENERGY STAR label. However, it’s always best to choose the higher-rated options as these translate to bigger savings in the long run. At Bounds Heating & Air, we’re your number one provider of high-efficiency products as well as HVAC maintenance, repair and installation services. Give us a call at (352) 278-9123 or fill out our online contact form to schedule your heating or air conditioning repair or installation service today. We serve clients in Lake City, FL, as well as surrounding areas.